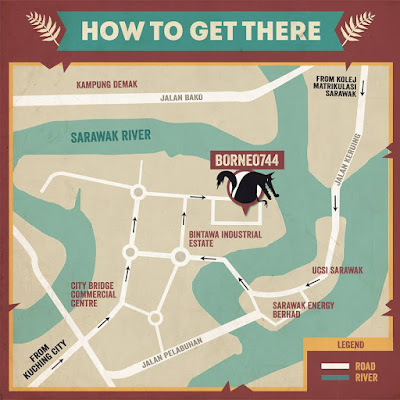 Futher to my post here, I do have people asking me how to get to Borneo744 for the Big Bad Wolf Sales. Well, I don't know either as I have never been there either but here's a location map to guide you. Remember, it starts on 7 July to 15 July. Opening Hour from 11 am to 10 pm. Me too. Never know that area well so need to drive and scout a bit. Haha. maybe we'll bump into each other there :) without knowing!